A Mansfield mother and son who made off with meat and whiskey during a Tesco thieving raid have been fined and given unpaid work. 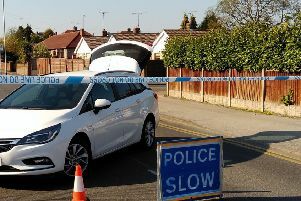 Mansfield magistrates were told how Grazyna Banasik (60), of Andover Road, and her son, Radoslaw Hibsz (39), of Chichester Close, were seen placing the items in a bag and leaving the Chesterfield Road South store without paying. Neil Hollett, prosecuting, told the court how a magnetic tag remover was also found on Banasik and she was charged with going equipped for theft. Said Mr Hollett: “Miss Banasik admitted having the meat in her bag and the other defendant said he knew his mother had stolen meat but did not want to say anything. Moira McFarland, defending Hibsz, said it was difficult mitigating for her client after he had been convicted at trial, but his circumstances had changed since. “He has now gained employment as a warehouse operative five days a week from 3pm-midnight,” she added. The officer said Banasik had been working at a warehouse for the last six years. “She enjoys working and lives with her husband as the sole income provider,” said the officer. Banasik was given 40 hours’ unpaid work and a £60 victim surcharge while Hibsz was fined £150 and made to pay a victim surcharge of £20. The pair were made to pay £372 each towards the costs of their trial.